This gorgeous resort is uniquely built on a reef next to a private white sand beach. Swim in the infinity pool that rests atop the reef and feel like a part of the natural environment. 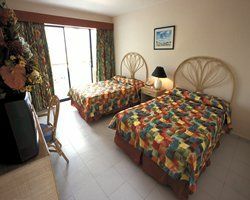 The all-inclusive Casa Marina Reef has everything needed for an unforgettable vacation— luxurious accommodations, exceptional service, and superior onsite amenities. 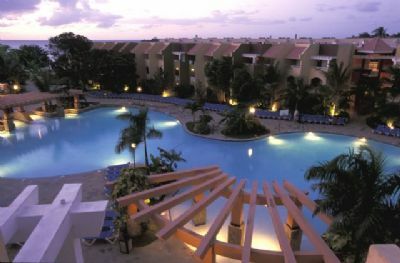 Enjoy affordable Dominican Republic timeshare resales at this wonderful resort. 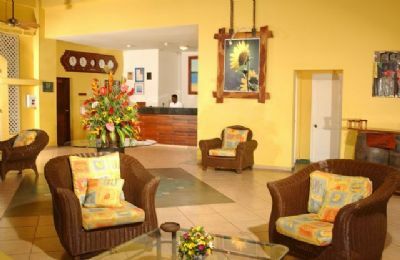 Decorated with Caribbean flair and with your comfort in mind, Casa Marina Reef’s choice of two Superior Rooms each accommodate up to four people. One room features two double beds and the other features a King bed. Both have large full baths, mini bar (water and soda) and LCD TV with cable. Step out on the terrace or balcony for a magnificent ocean, garden, or pool view. Air-conditioned for your comfort and a safety deposit box for your peace of mind, you will find your timeshare a relaxing haven. 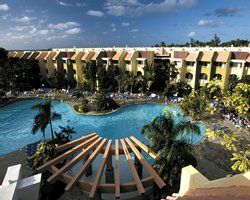 There are so many excellent activities at this resort that you will want to come back again and again to try them all. Lounge in a Jacuzzi or a swimming pool that overlook the ocean, relax in a hammock under a swaying palm, indulge in a massage on the beach, or take a scuba diving lesson and explore the reef. Pick a different restaurant each night for a different taste, try a specialty drink at one of several bars, and dance the night away at the Disco Calypso. Windsurf, snorkel, and kayak off the private beach or jump on a quad bike to explore the island. All this and more are yours when you buy a resale timeshare at Casa Marina Reef. Contact Casa Marina Reef Specialist Today! Days: Monday / Time: 3:00 P.M.